Fig.1 - Lotte Reiniger at work on Die Abenteuer des Prinzen Ahmed/The Adventures of Prince Achmed (Lotte Reiniger, 1926). Over the last eighteen months or so myself and Katharina Boeckenhoff (University of Manchester) have been engaged in archival research on the German animator Lotte Reiniger for a project about craft and animation. During that time I was grateful to be asked to write a chapter in Fantasy/Animation: Connections Between Media, Mediums and Genres on Reiniger by Christopher Holliday and Alexander Sergeant. While this chapter was not directly informed by the archival research we had been involved in, it raised a number of interesting thoughts and potential challenges that informed my writing. These were particularly to do with how Reiniger can be contextualised, but also vitally how she fits into the ‘canon’ and complementary histories of both fantasy film and animation. Some time ago I had read Rachel Palfreyman’s excellent 2011 article ‘Life and Death in the Shadows: Lotte Reiniger’s Die Abenteuer des Prinzen Ahmed’ published in German Life and Letters, where she argues that it is difficult to contextualise Reiniger and there is often a preoccupation with authors for praising her work rather than any sustained analysis of it (6). My collaborative research project on this landmark filmmaker had been quite focused on how Reiniger had been and continues to be received, particularly in relation to, or comparison with, her more avant-garde friends and collaborators. The Fantasy/Animation collection raised another possible way of understanding Reiniger and her work, which is the fact that most of her animated films and advertisements were fantasy-based fairy tale films. 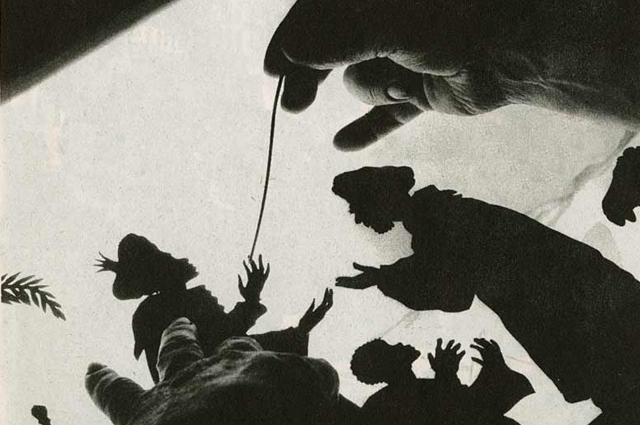 While many scholars have focused on Reiniger’s aesthetic created by her use of silhouette cutouts, this has potentially left uncovered a number of ways that we might approach Reiniger’s work (Fig. 1). Fig.2 - Die Abenteuer des Prinzen Ahmed/The Adventures of Prince Achmed. In my chapter for Fantasy/Animation, I sought to situate Reiniger within the context of the time in which she was making Prince Achmed, which is no easy task. Palfreyman is absolutely right that it is extremely challenging to do so. One of my aims of the chapter was to place Reiniger within the artistic trends of the time and I did so by discussing her in relation to the avant-garde and expressionist cinema (as well as some other popular genres); she shares affinity and differences with both. Considering her in the context of the fantasy and/or fairy tale genre also provides a fascinating further way of thinking through Reiniger’s feature film. It struck me while writing the chapter that the fact she was producing both fairy tale and animation was another reason that Reiniger is often marginalised; both animation and fairy tale are frequently disregarded as part of a less vauable children’s media culture (See Ratelle 2018). This understanding of Reinger as working within fantasy raised questions about her political context. The time during which Reiniger made Prince Achmed (Fig. 2) was one of the most politically and artistically charged eras of the twentieth century. I’m still fascinated by (and as I outline in the chapter) Walter Ruttman’s relationship with the film as he apparently struggled to see its relevance to that particular German context. His view is opposed by Esther Leslie who sees the film as vitally important and relevant to that time (2014: 27). This is one point on which differing views can be maintained but it is only one in a myriad of ambiguities that Reiniger and her work throw into sharp relief. Perhaps because Reiniger spans so many categories and is difficult to contextualise, her position in the ‘canon’ of film and animation is disappointingly underwhelming. As many of us seek to uncover, rediscover, and (re)position women in the histories of animation and film, it is becoming obvious and necessary that it is those very canons that will need to be reimagined. Where filmmakers and animators may have been marginalised can also be exacerbated by the genres or formats that they work in; having worked almost solely in fantasy it is quite likely that this has also contributed to a difficulty in understanding and placing Reiniger. Because her work is both fantasy (in particular fairy tale) and animated (the unusual method of silhouettes) is one of the reasons that she raises many more questions than have yet been answered. That in itself is only one reason why Reiniger’s films are deserving of the in-depth analysis that Palfreyman noted back in 2011. Leslie, Esther. "Animation and History," in Animating Film Theory, ed. Karen Beckman (Durham, NC: Duke University Press, 2014), 25-36. Palfreyman, Rachel. "Life and Death in the Shadows: Lotte Reiniger’s Die Abenteuer des Prinzen Ahmed," German Life and Letters 64, no.1 (2011): 6-18. Ratelle, Amy. "Animation and/as Children’s Entertainment," in The Animation Studies Reader, eds. Nichola Dobson, Amy Ratelle, Annabelle Honess Roe and Caroline Ruddell (London & New York: Bloomsbury, forthcoming 2018). Dr Caroline Ruddell is Senior Lecturer in Film and Television in the Screen Media department at Brunel University, London. She specializes in film theory, representation on-screen, and animation, and has published on anime, Rotoshop, and the representation of identity. Caroline is currently researching Lotte Reiniger's silhouette films and craft-based, handmade animation. She is Associate Editor for the Sage publication animation: an interdisciplinary journal and sits on various Editorial Boards.